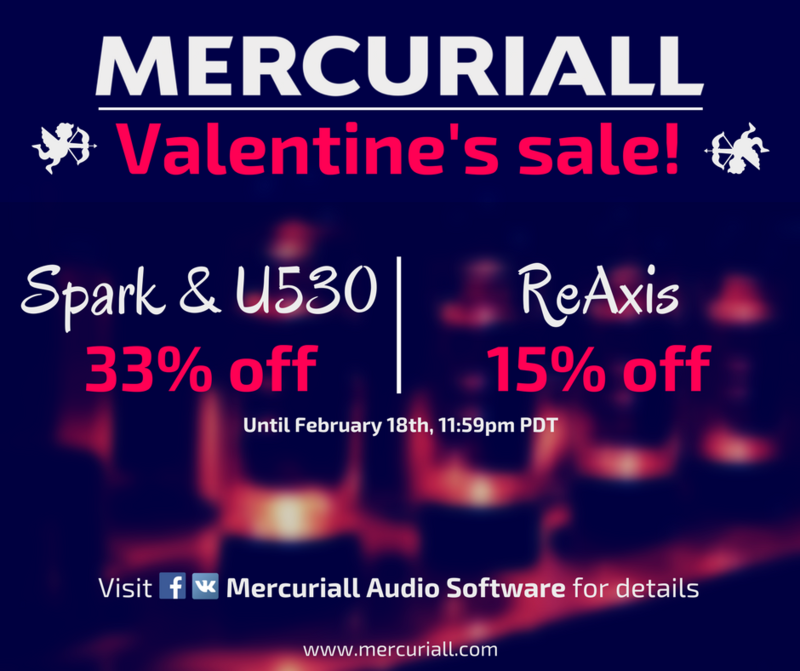 KVR: #KVRDeal Mercuriall Audio "Valentine's Sale"
Mercuriall Audio has announced a "Valentine's Sale", offering ReAxis, Spark and U530 with a discount. ReAxis - $76.49 (Regular price is $89.99). Spark - $80.00 (Regular price is $120.00). U530 - $39.99 (Regular price is $59.99). The sale will end on February 18th, 11:59pm PDT.